The run up to the much awaited Four Seasons Structured Wine Trail in Kolkata was a mix of suspense, anticipation and ignorance towards the mystery of wine, much like the larger novice non wine drinking Indian crowd at large. 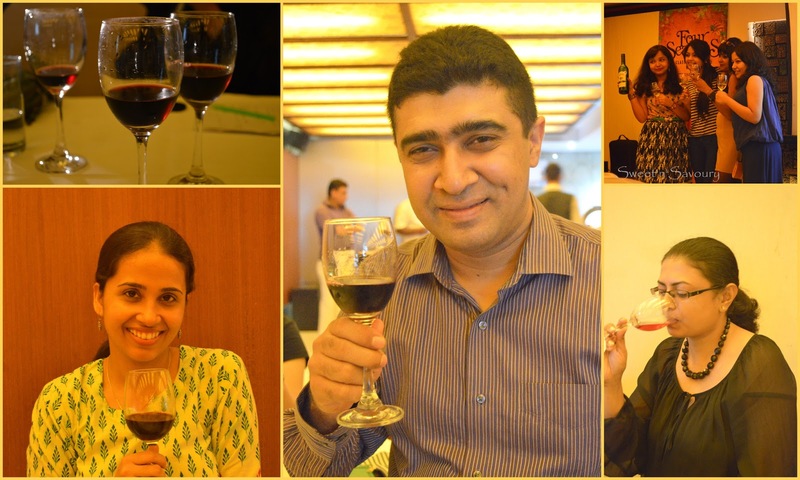 The Four Season Wine Trail was held in Kolkata at the Conclave, Rose Room. 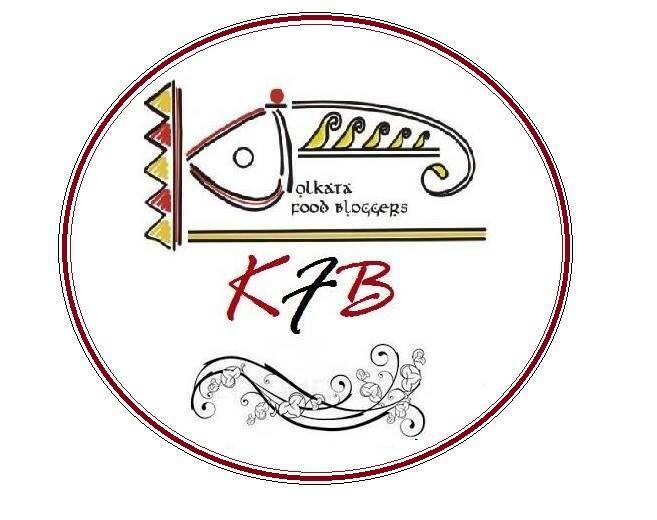 Being a food blogger along with my wife, Amrita, at Sweet’n’Savoury we had the opportunity to attend it with our fellow Kolkata Food Bloggers group, through Ginger Claps. For us, The Four Seasons Structured Wine Trail has definitely opened up a whole new chapter of wines in our little food world with the immense insight and knowledge that Peter Mitter, Region Manager-Trade Marketing of UB Group imparted in the session. Earlier the idea of wine was only restricted to homemade wines during Christmas with cakes and salted meat but now we are more than excited to discover wine in a whole new way. There was a power point presentation which included a short video of the Four Seasons’ state of the art French styled Winery at Baramati, Maharashtra, with the vineyards around it. The winery is turning out to be a huge tourist attraction. Further eye opening information on wine itself was shared like the types of wine, e.g. still, sparkling, and fortified, types of grapes used for making different kind of wine and how to taste and pair wine with food. Demystifying wine from the white to the red in a series of tasting sessions covering the sight, smell and taste interpretation and subsequently pairing them with the amazing starters that was served was truly an experience that we would not only relish, literally, but also remember as a starting point to discover the world of wine. 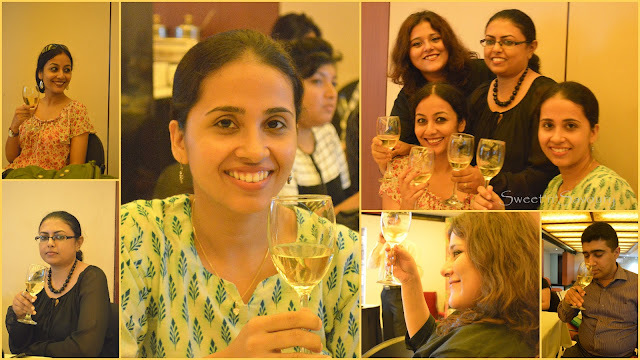 The power point covered the wine appreciating guidelines and novice people like us thoroughly enjoyed going through the steps in the series of wine tasting. For beginners like us it was a great suggestion from Peter to begin from white wines and slowly graduate to the red ones. That way we were able to enjoy the gradual ascend and appreciate finer aspects of wine tasting. There was a shockingly simple revelation to learn that the suggested room temperature to serve Red wine actually refers to the room temperate of the European climates which range between 14 to 18 degree Celsius and not the Indian room temperature which can go up to 40-45 degree Celsius. Similarly the optimum temperature to serve White and Rosé wine is at 8-12 degree Celsius. This is a common misconception in India which has largely affected the general dislike towards wines only because it was not served at the right temperature. It is synonymous to serving aerated drinks like Pepsi, Coca Cola or Thumps Up at Indian room temperatures. Sight, Smell and Taste are the three broad classifications. With each wine from the Four Seasons’ series we went through the steps to discover and appreciate wine. Sight- Pale Yellow Coloured, Clear and young wine. Food Pairing- goes very well with salads & seafood. Smell- Flowery, Fruity, peach & cinnamom aroma. Food pairing- Goes very well with red meat, kebabs and strong flavoured food. Goes exceedingly well with Indian spiced food. Food Pairing- Red Meat, Roast, Ham, Strong flavoured Cheese and Roasted Vegetables. All the Four Seasons’ series of the white and the red wines were amazing. But of course I was blown over with the Barrique Reserve Cabernet Sauvignon, Indian red wine matured in the oak barrels from France itself. The aroma of the oak and vanilla after the swirl of the glass was as smooth as the taste itself, well balanced, off sweet and mellow. For Amrita, the Rosé Wine-Blush was the pick with its brilliant rosy blush colour and a beautiful well balanced flowery flavour. I was particularly intrigued by the healthy aspects of wine drinking, of course on a moderate level, which is also endorsed by World Health Organization. 'Drinking in moderation' as suggested by WHO is a phrase that Four Seasons Wines stand by and educate. The WHO recommends 3 glasses(310ml) of wine for a male and 2 glasses(230ml) of wine for a female. Besides being an appetizer, it also helps reduce risk of heart disease and aging amongst other advantages. Wine is one of the very few alcoholic beverages, both mild and strong, that one can have even after dinner. I reckon we have found more than one reason to transpose to wine from other drinks and sighting the health advantages that come with it, there shouldn’t be much room for any objection. Moreover, being a food lover, wine has opened up an enormous chapter in our lives the journey of which seems as magical and boundless as its legend and history. Check out the Four Season Facebook Page for more information. Disclaimer: We are in No way promoting drinking alcohol. This is just a review and a write up of our personal experience. As adults, please make the right and responsible choice. Such a refreshing read. Wish I would be there at the trail. Lovely pics guys. Love. I enjoy a glass of wine during the weekends and have tasted many types. Still I can't differentiate the taste and well, as long as I get a bit tipsy, I guess the wine is good. What a fantastic event and really great intro to the different types of wine. 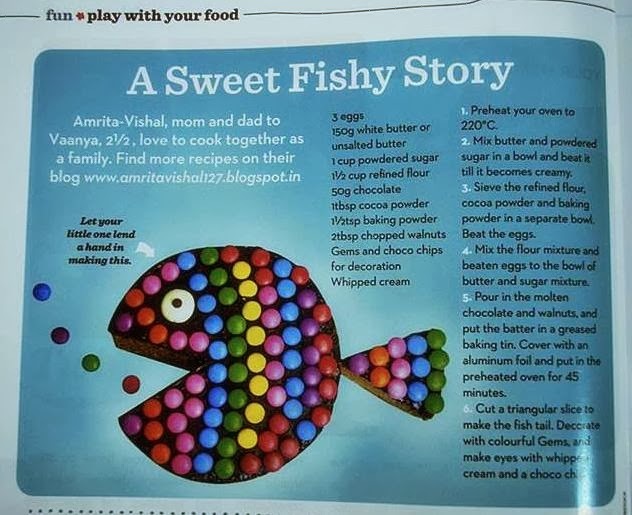 Great review, Amrita & Vishal. i get some ideas about wine. Love to reading. Thank you Chandrani, we had a wonderful time. It was a lovely experience. It was great to meet you all. Hope to see u guys soon :). 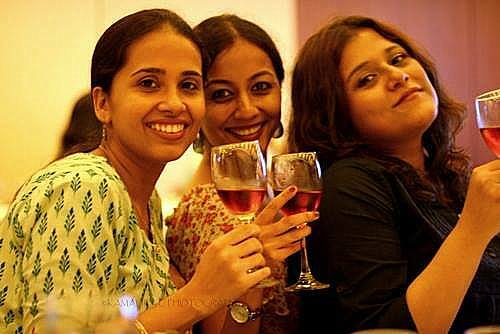 Do check out our version of the event at http://insensed101.blogspot.in/2013/07/know-your-wine-day-of-wine-tasting-and.html. It was wonderful meeting you too. Hi Amrita, thanks for sharing this excellent posting. I love it cos I do enjoyed drinking wine when I got nothing to do. :)) You girls look so pretty and gorgeous and Vishal too looking good.